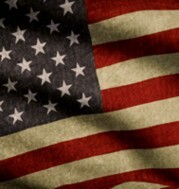 The question that liberals should be asking themselves is why they want any illegal aliens in the country. 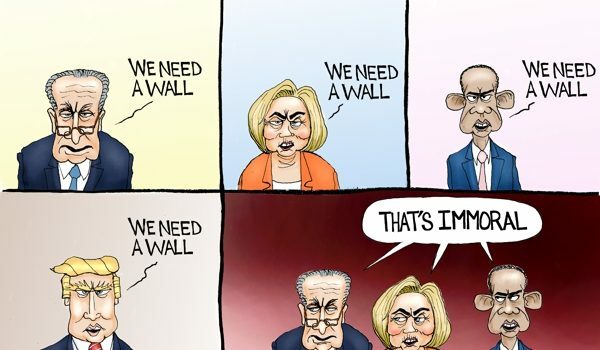 If they were being honest — as they have been in the past when Democrats in Congress advocated on behalf of a border wall — they would concede that illegal immigration is costly, setting the nation back $89 billion every year. That’s enough to cover the cost of nearly 18 border walls of the type President Trump is demanding. 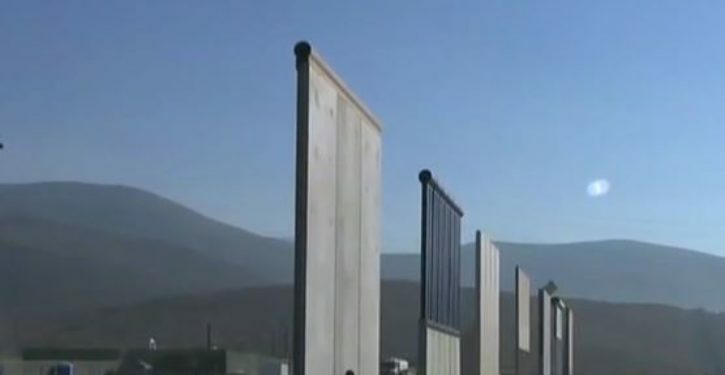 Instead the Left prefers to live in denial about the crisis on the southern border and the reality that walls and/or fencing would deter — if not put an end to — unwanted traffic into the U.S. As a case in point, NBC News shares the results of tests carried out in 2017 on the eight border wall prototypes commissioned by the Department of Homeland Security. 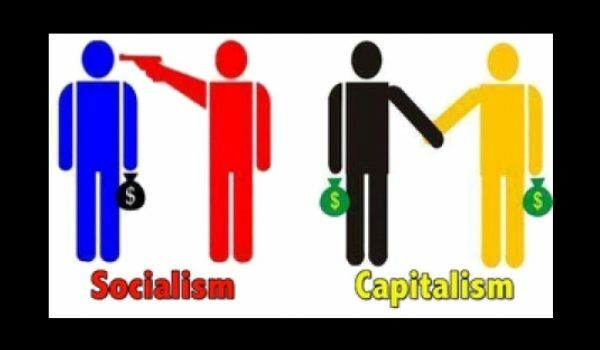 The article informs us that in 2017 “military and Border Patrol personnel were instructed to attempt to destroy the barriers with common tools.” The results? “[A]ll eight prototypes, including the steel slats, were vulnerable to breaching.” This is according to an internal U.S. Customs and Border Protection report the network somehow obtained. 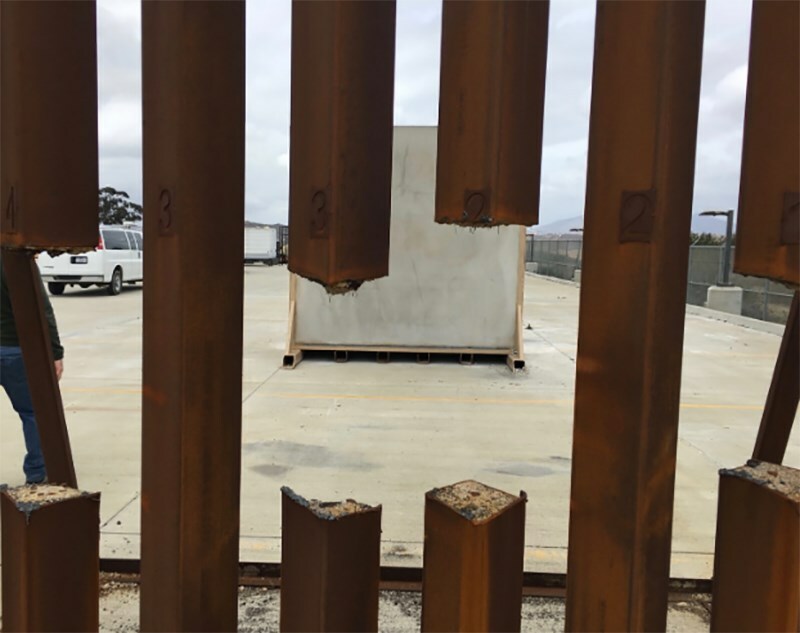 To underscore the seeming futility of the whole endeavor, NBC News also obtained a photo that shows a steel-slat fence with a gaping hole cut through it with, we are told, a saw. While the design currently being constructed was informed by what we learned in the prototypes, it does not replicate those designs. The steel bollard design is internally reinforced with materials that require time and multiple industrial tools to breach, thereby providing U.S. Border Patrol agents additional response time to affect a successful law enforcement resolution. In the event that one of the steel bollards becomes damaged, it is quick and cost-effective to repair. Obviously any barrier is better than no barrier, and the greater the number of trespassers deterred the better. Some interlopers will be discouraged by the mere sight of a high fence and turn back. 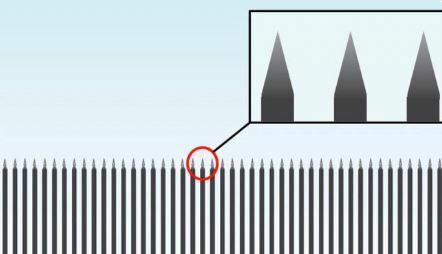 Others will lack the physical prowess to scale an 18-foot-high fence, especially one whose bollards rise up to form sharp points at the top — a design point that is under consideration. But NBC isn’t interested in these realities The article’s authors, Jacob Soboroff and Julia Ainsley, can’t be bothered with acknowledging that the tests were carried out precisely for the purpose of pinpointing vulnerabilities or that they were successful in doing just that.